The Refined Geek » Uncertainty is More Rewarding Than Certainty. Uncertainty is More Rewarding Than Certainty. If you’ve ever spent a decent amount of time playing a MMORPG chances are you’ve come up against the terror that is the Random Number Generator (RNG). No matter how many times you run a dungeon to get that one item to complete your set or kill that particular mob to get that item you need to complete that quest it just never seems to happen. However, sometimes, everything seems to go your way and all your Christmases seem to come at once and the game has you in its grasp again. Whilst RNGesus might be a cruel god to many he’s the reason that many of us keep coming back and now there’s solid science to prove it. It’s long been known that random rewards are seen as more rewarding than those that are given consistently. Many online games, notably those on social networks, have tapped into that mechanic in order to keep users engaged far longer than they would have otherwise. Interestingly though this seems to run contrary to what many players will tell you, often saying that they’d prefer a guaranteed reward after a certain amount effort or time committed. As someone who’s played through a rather large number of games that utilize both mechanics I can tell you that both types of systems will keep me returning however nothing beats the rush of finding a really good item from the hands of RNGesus. Indeed my experience seems to line up with the recent study published by the University of Chicago which shows that people are more motivated by random rewards than they are by consistent ones. It sounds quite counter-intuitive when you think about it, I mean who would take a random reward over a guaranteed one, but the effect remains consistent across the multiple experiments that they conducted. Whilst the mechanism of what triggers this isn’t exactly known it’s speculated that randomness leads to excitement, much like the the infinitesimally small odds of winning the lottery are irrelevant to the enjoyment some people derive from playing it. 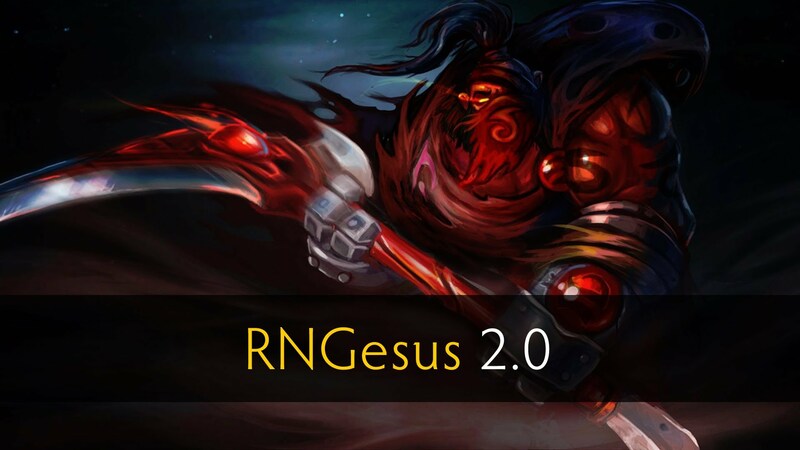 However the will of RNGesus needs to be given a guiding hand sometimes to ensure that he’s not an entirely cruel god. Destiny’s original loot system was a pretty good example of this as you could be bless with a great drop only to have the reveal turn it into something much less than what you’d expect it to be. Things like this can easily turn people off games (and indeed I think this is partly responsible for the middling reviews it received at launch) so there needs to be a balance struck so players don’t feel hard done by. I’d be very interested to see the effect of random rewards that eventually become guaranteed (I.E. pseudo-random rewards). World of Warcraft implemented a system like this for quest drops a couple years ago and it was received quite well. This went hand in hand with their guaranteed reward systems (tokens/valor/etc.) which have also been met with praise. Indeed I believe the mix of these two systems, random rewards with guaranteed systems on the side, seems to be the best mix in order to keep players coming back. I definitely know I feel more motivated to play when I’m closer to a guaranteed reward which can, in turn, lead to more random ones. It’s always interesting to investigate these non-intuitive behaviours as it can give us insight into why we humans act in seemingly irrational ways when it comes to certain things. We all know we’re not strict rational actors, nor are we perfect logic machines, but counter-intuitive behaviour is still quite a perplexing field of study. At least we’ve got definitive proof now that random rewards are both more rewarding and more motivating than their consistent brethren although how that knowledge will help the world is an exercise I’ll leave up to the reader.